The unstiffened steel plate shear wall (SPSW) system has emerged as a promising lateral load resisting system in recent years. 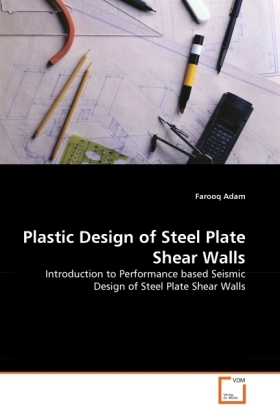 However, seismic code provisions for these systems are still based on elastic force-based design methodologies. Considering the ever-increasing demands of efficient and reliable design procedures, a shift towards performance-based seismic design (PBSD) procedure is proposed in this work. The proposed PBSD procedure for SPSW systems is based on a target inelastic drift and pre-selected yield mechanism. This design procedure is simple, yet it aims at an advanced design criterion. The proposed procedure is tested on a four-story test building with different steel panel aspect ratios for different target drifts under selected strong motion scenarios. The designs are checked under the selected ground motion scenarios through nonlinear response-history analyses. The actual inelastic drift demands are found to be close to the selected target drifts. In addition, the displacement profiles at peak responses are also compared with the selected yield mechanism.